“Why don’t you use the word tribe? I think this would make your story seem more realistic.” So read the critique on a rough draft fantasy story I submitted to a writing group. I set many of my fantasy stories in Africa–or better put, fantastic worlds loosely based on African themes–a process of cultural adaptation and self-creation I have discussed in previous blogs, acknowledging the cross-diasporic borrowing in this peculiarly modern practice. 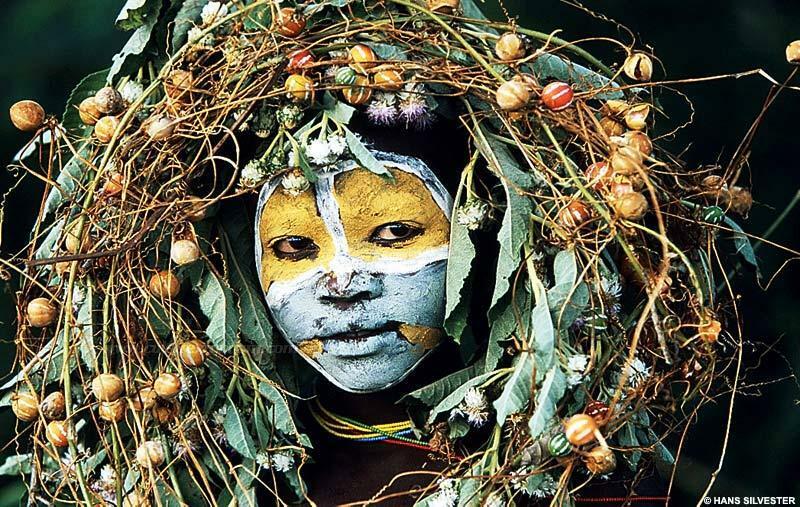 The comment was interesting in what it implied–that certain words, like “tribe,” are so connected to Africa (even the Africas of our imaginations) that they are missed when they don’t appear where we expect them. The reviewer was perceptive however: I don’t use the word “tribe” in any of my fantasy stories. It’s quite intentional, and for good reasons. “Tribe promotes a myth of primitive African timelessness, obscuring history and change.” It is a notion of Africa that corresponds to Orientalist visions of the East–of backwards societies trapped at some early stage of development. This has negative implications for modern Africa, as it reinforces notions of the “Other,” locked in some static prehistorical moment. “In the modern West, tribe often implies primitive savagery.” Some terms are loaded. They come with a context of bias, race and assumptions of cultural superiority. In the case of Africa, tribes evokes images and meanings almost instantly in the western mind–formed through centuries of institutionalization and indoctrination. Tribes are by their very nature irrational, emotional, illogical, superstitious–the opposite of the Occidental West. Tribes harken to a primeval savagery, which posits Africa as often locked in ancient and senseless “tribal conflicts”–rather than the complexities that define social interactions among non-tribal peoples. Tribes are the natural state of Africa, a place of savages (noble and otherwise) who act out in their heated passions based on their tribal affiliations; this is how it has always been. Except, in reality, it hasn’t. The embargo on “tribe” however is by no means an agreed upon proposition, even among continental Africans or those in the recent diaspora. I remember in college my Nigerian-American fraternity brother who readily identified by ethnicity and seemed untroubled by the word “tribe.” During my graduate studies however, I served as a TA for a Nigerian professor who openly chastised students in his Political History of Africa class for the use of “tribe”–going as far as deducting points if the word appeared on a paper. Yet even here, my Nigerian fraternity brother always made plain that his use of tribe was much more analogous to nation, and reflected modern issues of nation-states, not some vestige of a static African past. He also identified himself in numerous other ways beyond his ethnic identity. My professor on the other hand saw tribe as a coded word for backwardness and primitivism in the West, evoking all the worst traits of “Darkest Africa.” He would often challenge students to explain why Europeans were given ethnic groups, while Africans were often herded into “tribes,” and delve lengthily into colonial constructions of identity. For many of these reasons I have shied away from using the word “tribe” in my fantasy stories. Some might argue that in its “timelessness,” tribe can fit the fantasy genre–which usually focuses on pre-industrial societies. The problem however is that tribe is almost impossible to pry from its racial relationships. So Euro-fantasy rarely uses the word tribe, but it instantly comes into play when we enter fantasy that pulls on Africa (or Native American and numerous other non-white groups). In fact, within Euro-fantasy tribes have their own unwritten hierarchical meaning, reserved for semi-savage “barbarians” or (worse still), non-human man-beasts like Orcs. In some cases I do use ethnic identity, often to identify people who may belong to a kingdom or nation. At other times, to de-emphasize the obsession with identity, I am purposefully vague or establish a primacy on other forms of belonging. My reasoning is not borne from some simplistic need for political-correctness, but instead an attempt (even in small steps) to move beyond colonial landscapes and paradigms that we too often accept as normative, even essentialist, to African existence. This entry was posted in Intellektshul, Personal Musings and tagged Africa, colonialism, fantasy, non-Western, post-colonialism, Race, Tribe by The Disgruntled Haradrim. Bookmark the permalink. I too refrain from using the word. The word was never applied to warring factions in Yugoslavia, but was readily employed in every African conflict during the same period. I’ve shied away from the use of this word in my writing as well, although I never knew why. Now you’ve put words to my feelings. Excellent article! Interesting article on the word tribe and its use. I’ve used the word “tribe” in some of my fantasy works, seeing it as a identifier of an archaic community sharing the same founder. But this post and APIC’s analysis of the use of the word and its understanding makes me question not just my understanding of the word, but what I want my readers to envision when they read my stories. What images they take away (in terms of what their perceptions are or will be) and its impact on the tale. Though I prefer to write adventure tales for entertainment, that does not excuse me from understanding and/or realizing the impact of prose has on the readers. If anything it informs me in the choice I make to use or not use the word. Thanks for the info. Article contains info that I did not know and gave me things to think about. I’ve never actually reflected on the word ‘tribe’ before. This is the first post I’ve ever reblogged, but I think it’s sufficiently interesting . Personally… I’m Malaysian and moved to South Africa two years ago. I decided to start telling people my mum and dad are from different tribes because it’s going to be too flipping complicated to explain every time that the peculiar usage of the word “dialect” among English-speaking Chinese people encompasses not only language but ethnicity – yet another word that’s been given peculiar mangled meanings by colonialism.